CTOMS is a special tungsten carbide manufacturer and exporter in mainland of China, it supplies nearly all kinds of products made of tungsten carbide, e.g. drawing dies, seals, bars, rods, button, rings, blades, blocks and so on. s widely known as one kind of carbide cutting tools, it’s available for different grinding geometric parameters and suitable for both cutting materials and nonmetal materials, also it can be applied to conventional, semi-automatic lathe, automatic lathe and planning machine to work grooves and operate cutting, etc. We have many years' experience to supply our clients the mentioned high-quality products with most competitive prices. If you are interested in any products or have any questions, please contact us directly. It is always our principles to offer our best service to any clients at any time. 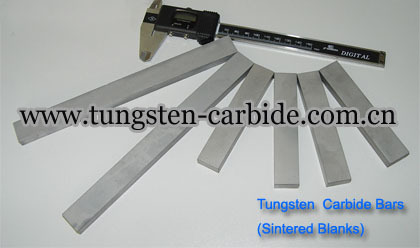 >>>Here below are the specifications of tungsten carbide bars we always offered.